Love sometimes compels you to hatch the most outrageous and devious plans. I wonder if Phillip’s friends knew that he was able to strategize like this. Because for his proposal, he essentially had the Kennedy Center become an accomplice to his plans. 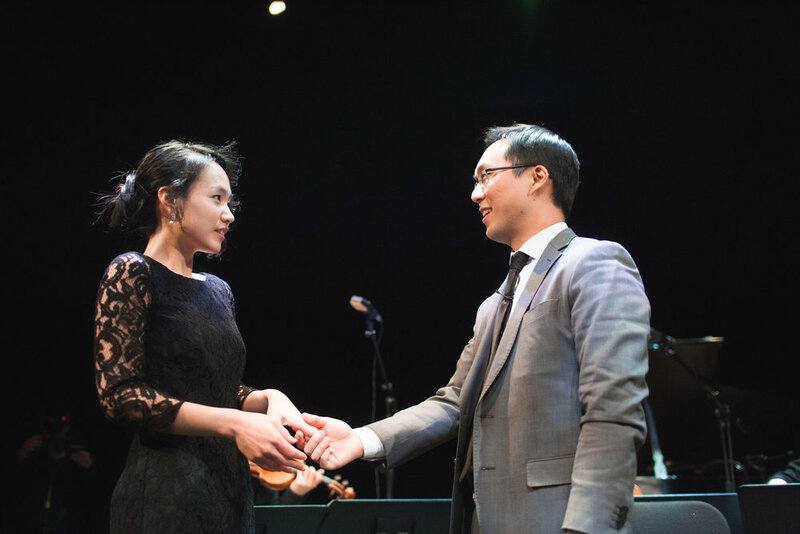 He rented out a small theater, put together a string quartet, and staged and entire performance for ONE person so that he can propose to her. Annie thought it would be a fun evening out. Even I thought I was going to Washington DC to take some photos for an event. It wasn’t until the week before I found out it was a proposal. As the curtains opened and Annie saw Phillip on stage playing his cello the look of “what the....” is something I will always remember. She told me it was as if she knew what was happening, but couldn’t comprehend it. She just watched herself go through the motions as she was escorted up to the stage where Phillip went down on one knee and held out a ring. Even before she could understand why Phillip was playing his cello at the Kennedy center, she was engaged and everyone around her was in on it. We went out to celebrate and eat but she just sat there still trying to understand what happened, how it happened, and if it really did happen. But deep inside the shell shock was one thing she was certain of, which was why it happened. There was no confusion there, and at the end all is forgiven. Phillip had a look of relief and satisfaction the entire night knowing that she said yes, and that his master plan was carried out perfectly. They are getting married tomorrow and I hope the only surprise is that things go better than they had planned.